When the Governor of Missouri issued his call for tax reform last year, he said it was no time to be timid. Challenging his new Department of Revenue Director Joel Walters to craft a "best-in-class tax policy" for the state, Walters proceeded to do just that. By the time his pencil left the paper, he had fashioned a revamped tax code that, when signed, promises to make Missouri one of the most competitive states for business in the nation. The proposed tax plan, passed by both houses of the Missouri General Assembly and awaiting the governor's signature, lowers the corporate income tax rate in Missouri from 6.25 percent to 4 percent, which would be second only to North Carolina among states that levy such a tax. The 4 percent tax rate would go into effect January 2020. Secondly, the plan reduces the individual income tax rate in Missouri from 5.9 percent to 5.1 percent over time. "With a majority of the U.S. economy now being pass-through entities being taxed at the individual rate, this would be a beneficial tax cut for a lot of businesses," says Walters. Additionally, Missouri has a single factor market-based apportionment income tax model based only on sales. "Taken collectively, these tax reforms will put us on more short lists for companies," says Walters. Walters should know. Prior to taking over leadership of DOR, he spent the previous 35 years in the private sector working on tax structures for companies around the world, including 20 years in senior corporate finance positions. In short, he knows what companies need financially in order to grow and create jobs. His mission now, he says, is to deliver that kind of environment to state government in Missouri. "We are fundamentally transforming the DOR to help businesses meet their obligations," Walters says. That includes reducing their overall tax burden, as well as helping them understand what they need to do to collect all incentives for which they qualify. "The DOR does not work with the Department of Economic Development in other states," he notes. "We do. We are in lock-step with Economic Development Director Rob Dixon and his team. Our goal is to make sure that businesses get all the rewards they qualify for. In my view, economic development is a team sport. You must go to market as a team to be effective." Walters says the goal is to make an already competitive state a national leader. "We do well on tax policy. We can do better," he says. "The Tax Foundation ranks us 15th in overall business taxation and fifth in corporate taxation. But as we lower our business tax rates, we also want to be good stewards. That is why we have put together a package that is revenue-neutral." Walters says the plan "is designed to get that tax policy in the right place. We are not proposing dramatic tax cuts that are paid for with economic growth. We are being fiscally responsible, and we think this is the right thing to do for Missouri at this time." He added that "we considered the recent federal corporate income tax reductions. We followed that closely. For purposes of the Missouri budget, we took into account the overall budgetary implications of that. 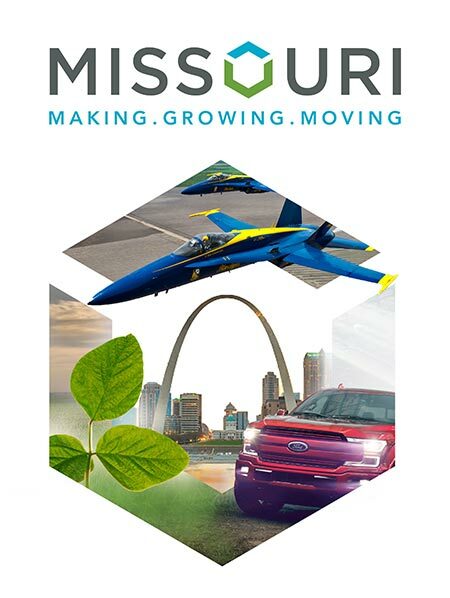 We believe our changes will jump on the back of that and turbocharge the benefits of the federal tax reduction to put even more money into the pockets of people working and doing business in Missouri." The ultimate goal, he notes, "is all about improving the business climate of Missouri." By all indications, he and the Governor are doing just that.